With its vibrant red and yellow trumpet-shaped blooms on top of tiers of paired deep green leaves, Indian Pink is easily one of our region’s most stunning perennials. 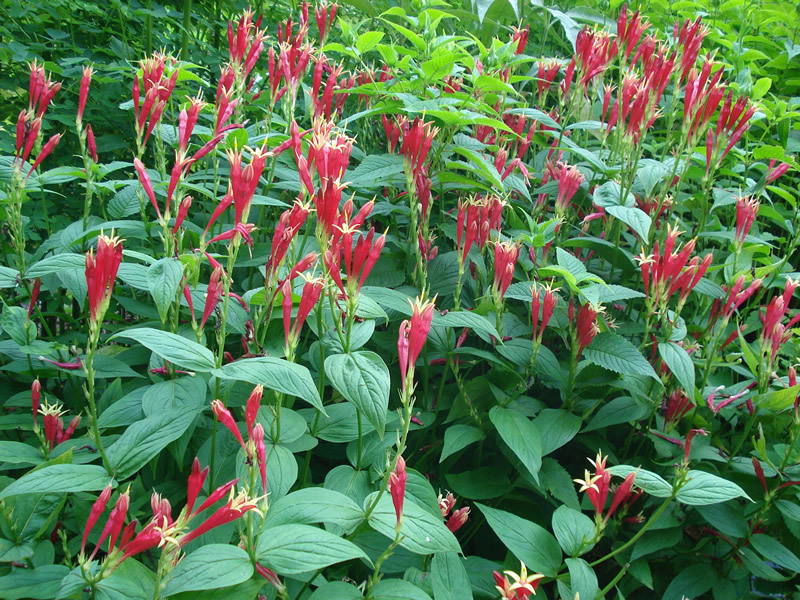 Take one look at Indian Pink and you’ll understand why this plant is a “must have” for gardeners wanting to attract butterflies and hummingbirds. This early-summer bloomer grows best in lightly shaded or mostly-sunny areas in the garden such as a mixed perennial border or woodland edge. At 1-2 feet tall, with a spread of up to 2 feet, Indian Pink is the perfect complement to other Green Ribbon natives like Bluestem Goldenrod (Solidago caesia) or Cardinal Flower (Lobelia cardinalis). Indian Pink grows well in moist soil and, once established, requires very little maintenance for gardeners in USDA zones 6-9.